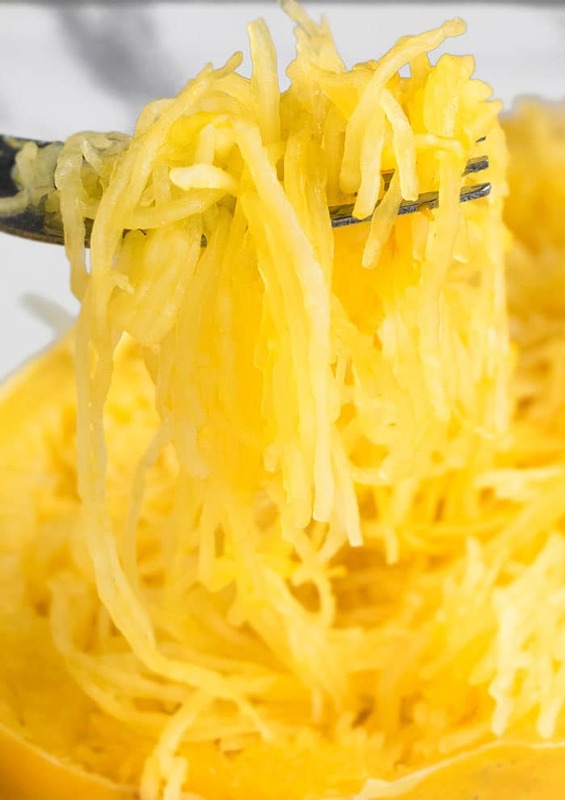 Learn how to make quick and easy instant pot spaghetti squash recipe with 2 simple ingredients. Healthy gluten free, low carb pasta alternative/ substitute. This pressure cooking method can steam a whole squash that’s about 2 pounds in about 15 minutes, which is much quicker than any other method I have tried. The pulp can easily be shredded into thin translucent noodle strands. Overall, it has a fairly bland, delicate flavor with a mild sweet flavor that can be offset with your choice of herbs, spices, toppings and sauces. For me, it can never fully replace regular pasta. However, it does make a delicious vegetarian meal with many variations. 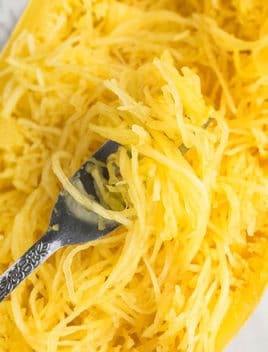 How to cook whole spaghetti squash in instant pot/ pressure cooker? Pierce the squash with fork all over. Add water in the pressure cooker and place a metal trivet or steamer insert/ basket. Select “Manual” mode and set the timer for 15 minutes. Remove the lid and carefully remove the squash. Then, use a sharp knife to cut length-wise. Remove seeds with a spoon and discard. Shred with a fork into strands and you are done. You can cut it lengthwise- This is my preference because it’s easier to scoop out the seeds with a spoon. It’s also easier to shred and fun to eat in the spaghetti squash bowls. You can cut it widthwise- This is easier easier to cut. It also allows you scrape longer strands that look very similar to regular noodles. 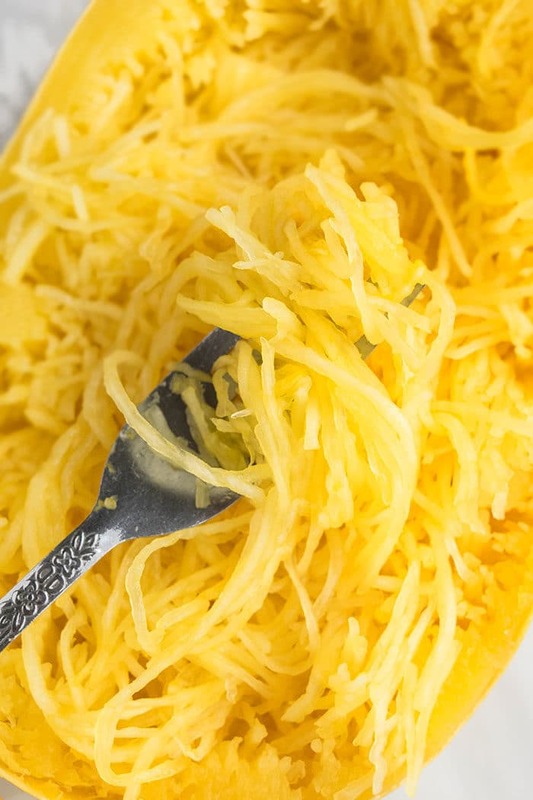 How to store spaghetti squash? How long does it last? Store it in a sealed container in the fridge for up to 3 days. Some moisture and water will accumulate at the bottom of your container, which can easily be absorbed with paper towels and discarded. 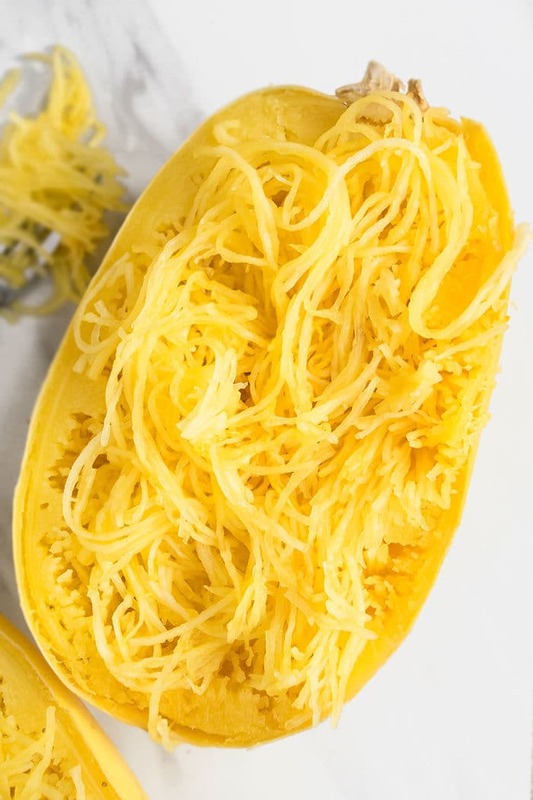 What to serve with instant pot spaghetti squash? -Don’t cut the squash in half, prior to placing it in the pressure cooker because that over-cooks it and makes it too soft for my preference. However, if you prefer your squash noodles super soft, you can cut it in half and then cook it. -You must pierce the squash with fork all over because this creates vents for steam to get inside. -If you over-cook the squash, it becomes very soggy and mushy. The perfect texture should be firm but tender. -Remember that even though you are only cooking the squash for 15 minutes, the total time would be a little longer at about 30 minutes because the instant pot has to build and release pressure. Shred with a fork into strands. Serve with your favorite pasta sauce and toppings. Enjoy!